In the Parts & Service module, you can see purchase histories for each part, and choose to have parts and labor expenses reflected in your chart of accounts. 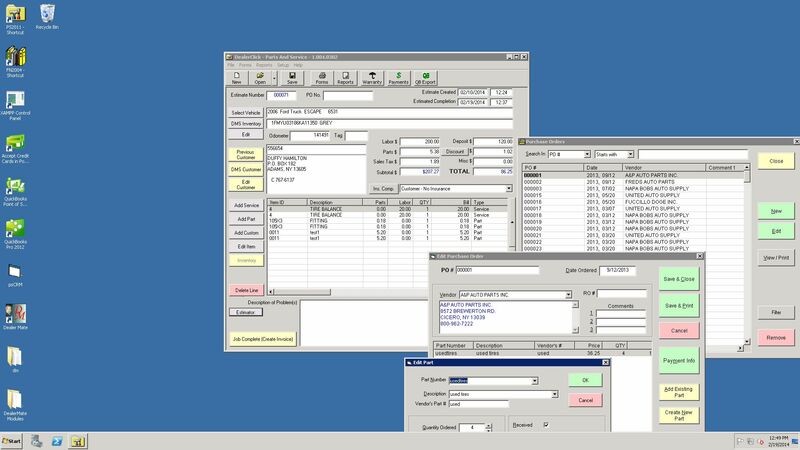 The task scheduling system lets you create job templates with standard parts and labor, print work orders, assign tasks to mechanics and keep track of total labor hours for a particular vehicle or employee. You’ll also be able to print estimates and invoices that are branded with your logo. Have an inventory scanner? It can read barcode labels on your existing parts when the scanner is connected to your computer, and it can print new barcode labels too. What keeps customers coming back to your lot for service? At the dealership, they expect efficient, quick and detailed work. And that’s exactly what our Parts & Service module helps you provide. Parts & Service integrates with the inventory records that are already in your system, allowing you to view detailed service histories for each vehicle. You can even finance service records onto a deal or lease to offer your customer more payment options. Dealer-Mate provides integrated parts and service modules which enables dealers to manage the heavy volume of parts and labor charges that continually flow this department. Knowing parts and service revenue reflect profits for dealers. We know the importance of keeping sales, collections, and customer retention in order. 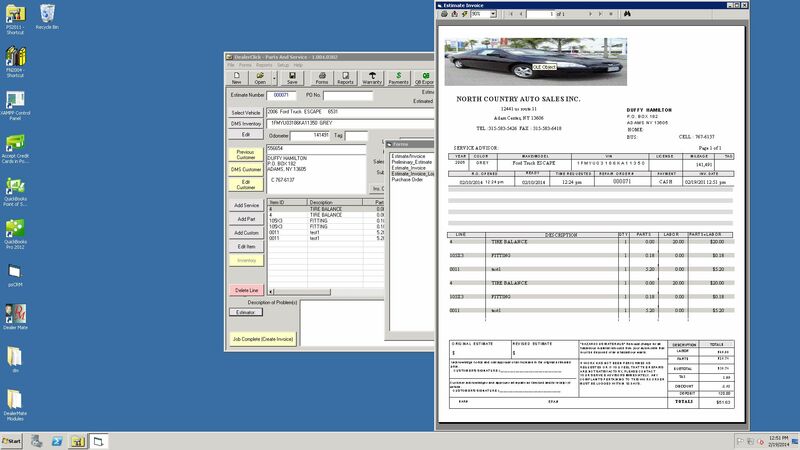 Seamless integration with Dealer-Mate modules means your shop manager has vehicle and customer information already available when work begins to generate estimates, invoices, inventory reconditioning costs and repair notes. Integrated Parts Inventory module keeps work orders flowing through the service bay. Seamless QuickBooks integration saves time increasing dealer profits. Dealer-Mate was established in 1987 as a computer software service provider specializing in custom applications for the automobile dealers industry. With over 4500 clients nationwide, Dealer-Mate is now being used in all 50 states and all Canadian provinces. Start your FREE 30-day Demo Today!